*) This information was provided in Jan 2006 by Lt.Col. Fredrik M. Bergold (USAF, Ret.) 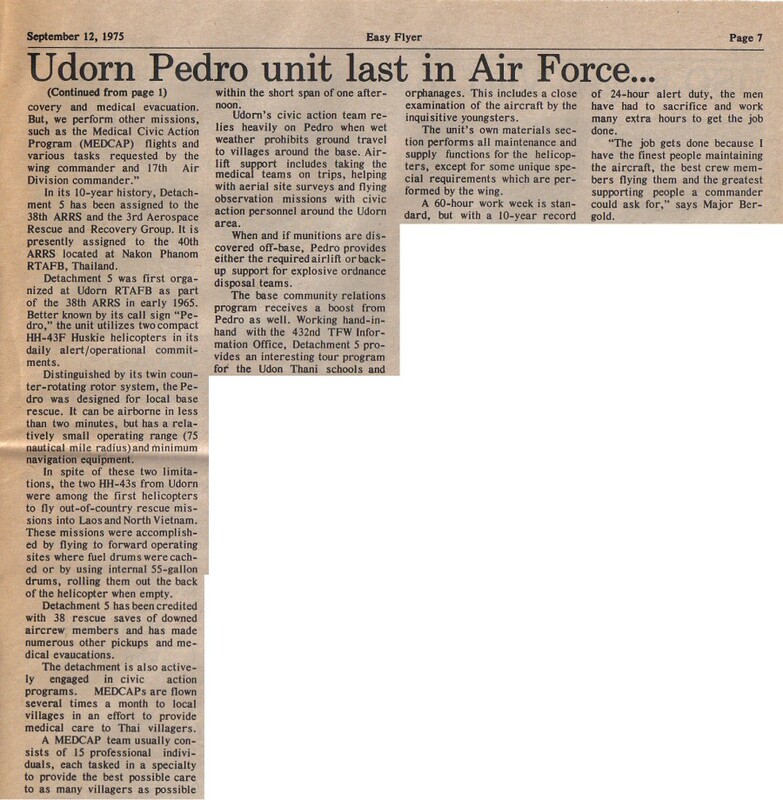 , who was the pilot in this last Pedro flight. 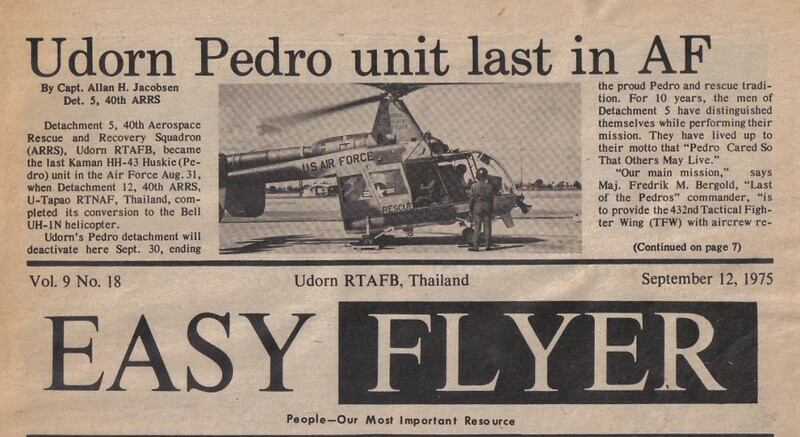 During 1973 the reduction of assigned HH-43F was going on at a great pace. Thailand to Clark AB for salvage there ; 60-0258, 60-0280, 60-0281, 62-5978). During 1975 seven HH-43F were scrapped in theatre.